Course Info: Course is entirely on the grounds of Clinton Nature Preserve. Awards: Trophies given to the top overall male and female winners as well as masters male and female winners. Medals awarded to the top three in male and female five year increment age groups from 10 and under all the way to 65 and up. Chad is a single dad who was diagnosed in September of 2014 with rectal cancer that has spread to his liver. 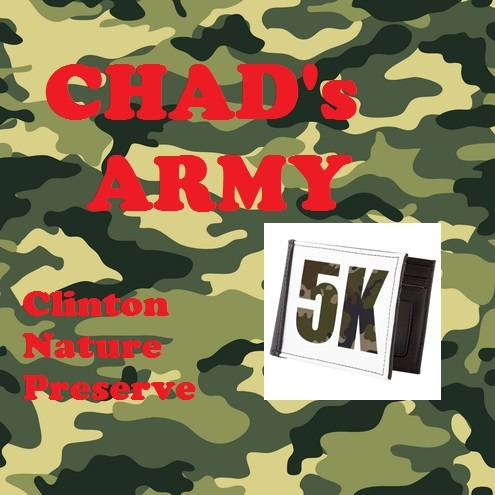 Chad is currently undergoing chemo treatments and this event will help with his medical bills.